Baby Speech Development Begins at Birth. Baby talk is a term that broadly refers to the way a “baby tells” you what they need and includes baby speech development! In this sense babies begin to” talk” from birth! Baby first words, where the child is saying “true” words, occurs when baby speech development matures enough to put sounds together to be form words. Changing Cries is the start of Baby Speech Development! 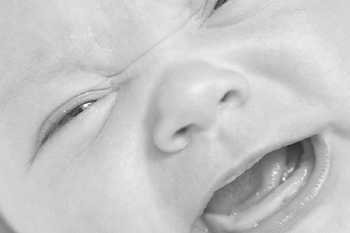 Speech Sound development in babies really begins with their cries! This is how they can tell you they are hungry, uncomfortable or just want a cuddle!When you look at how often babies cry you can see just how important crying is for a baby! In the first 6 weeks, the most “speech” that is heard is cries, noise accidentally made as the move (reflexive vocalisations) and “fussing sounds”. 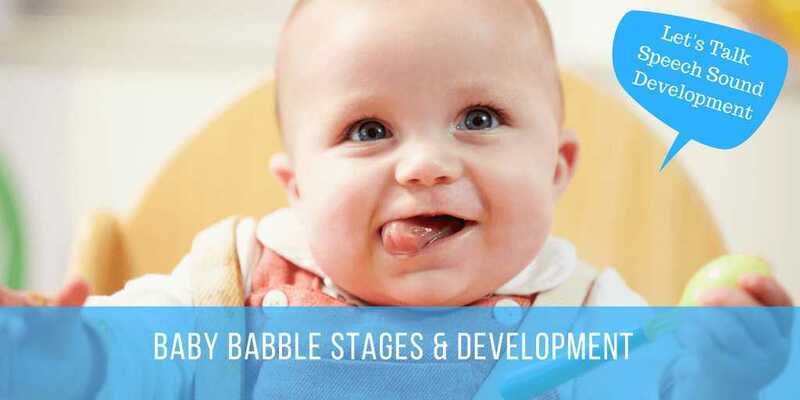 Usually between 6 and 16 weeks there is a subtle change in the kinds of vocalisation and “babble” that is heard.. Just like the development of speech sound, stages of﻿﻿﻿﻿﻿ baby babble typically follow a developmental sequence. 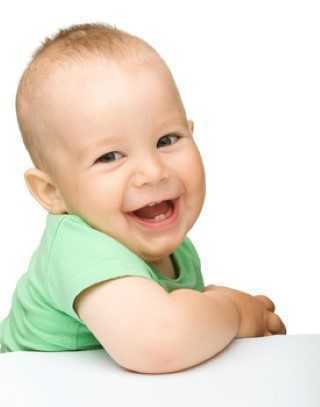 Babies now begin “cooing and gooing” with open vowel like sounds and even laughter and excited squeals start to emerge. This marginal babbling happens just before “true babble begins”. ​Between the 16 and 30-week period early speech sounds start to get mixed into the sounds the baby is making. Consonant sounds such as b, m, d & n join up with vowels to form early syllables-like vocalisations. These occur as the baby makes random sounds with movements and interactions. 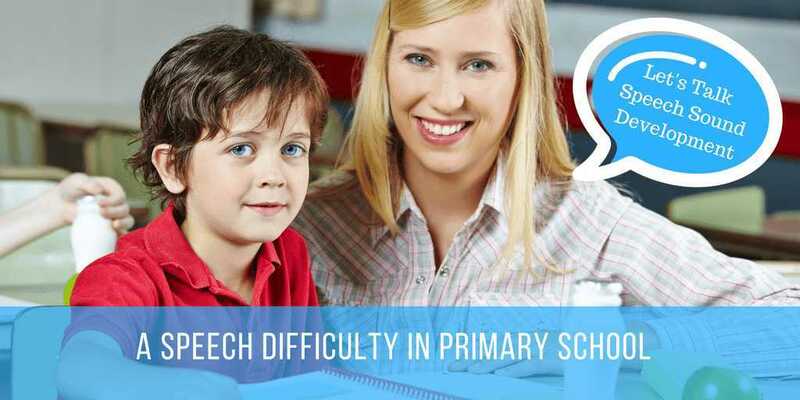 ​Late onset of canonical babbling may be a predictor of later speech disorders. ​Canonical babbling typically should be present from at least 6 months of age. This is the type of babble we think of in “baby talk” where syllables are repeated over and over (e.g., reduplication of mumu mumu; dadadada and variegated babble e.g., mudawa). 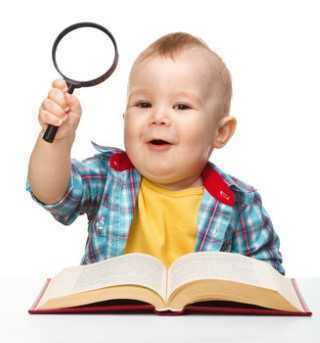 ​Over time babies produce longer strings of babble with a wider range of speech sounds embedded in it. By 9 months the baby talk can almost sound like they are trying to really talk to you. They can have “whole baby talk” conversations with you in their jargon of sounds. They experiment with and change intonation patterns just like we do when we are having a conversation. ​If there is adequate parent shaping of this early babbling and appropriate speech models by the adults around them, babies jargon turns into real first words!. 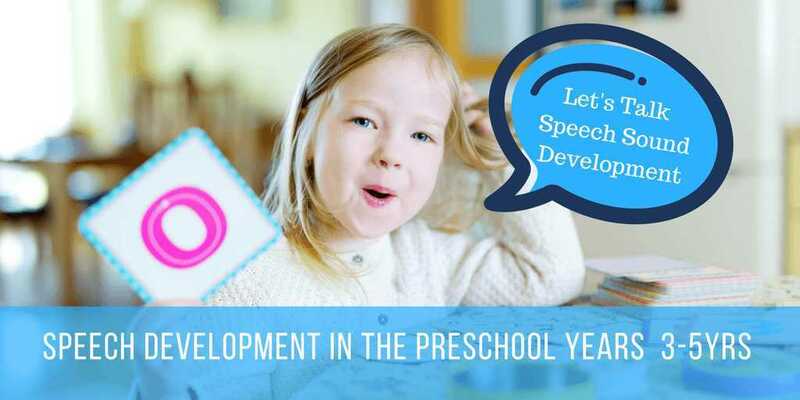 From here they refine the way they say sounds and how they put sounds together as they move along the speech sound development pathway to achieve clear adult speech. 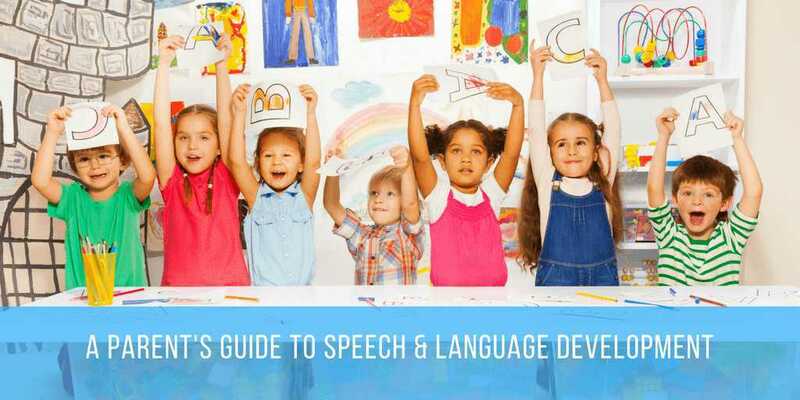 Speech sound development checklists can provide a guide to the expected ages children master the different speech sounds. What to do if Baby Babble and Early Speech Development is NOT Observed. RED FLAG: Baby is not using babble strings at 6 months of age. There is evidence to suggest that canonical babbling (reduplicated (mamamam) and non-reduplicated (babewo)) is an important foundation stage to later speech and language development. ​If your baby is not producing age-﻿﻿appropriate ﻿﻿babbling, then it may, I repeat may, be a warning sign of an underlying issue. Like all developmental milestones, baby speech development milestones are not hard and fast. Some babies meet the babbling stages at different ages than expected. 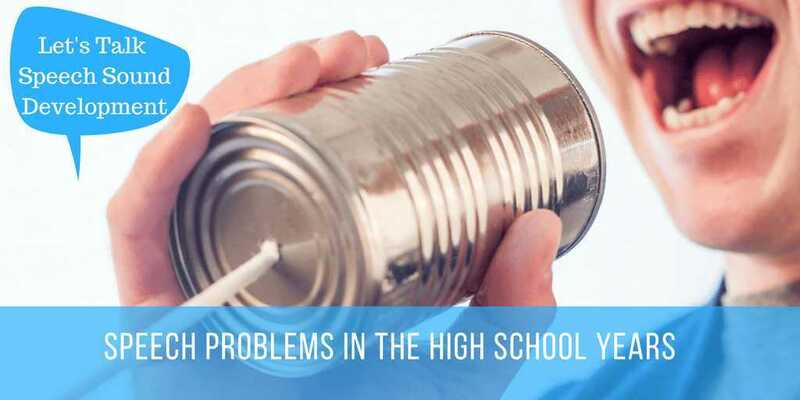 ​However, a lack of babbling may be an indicator of issues such as a hearing loss, language and speech delay, or learning disability. The first thing to do is to contact a medical officer and check the child’s hearing. Even if they passed their baby hearing test they may have blocked ears. It is sometimes hard to tell if babies have ear infections or blocked canals and this is an important first step. 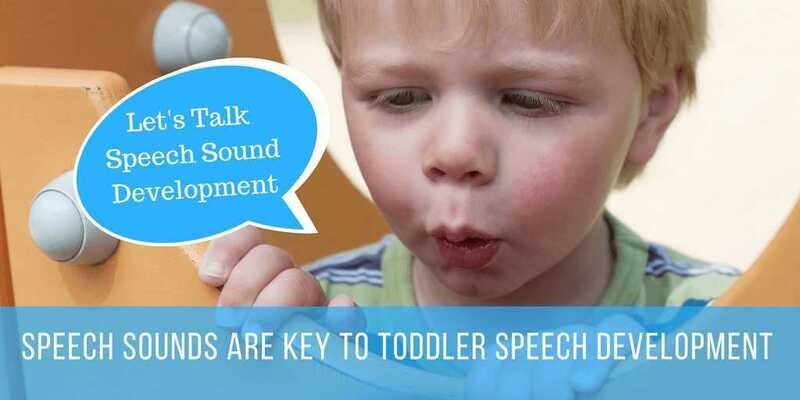 ​Encouraging really early imitation skills can boost early pre-speech development skills like babbling. 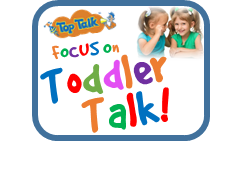 Online parent programmes such as the FOCUS on TODDLER TALK and groups such as the SpeechNet’s “Babies Talk Too” Mum and Bubs groups can give parents ideas on how to encourage early baby speech development. 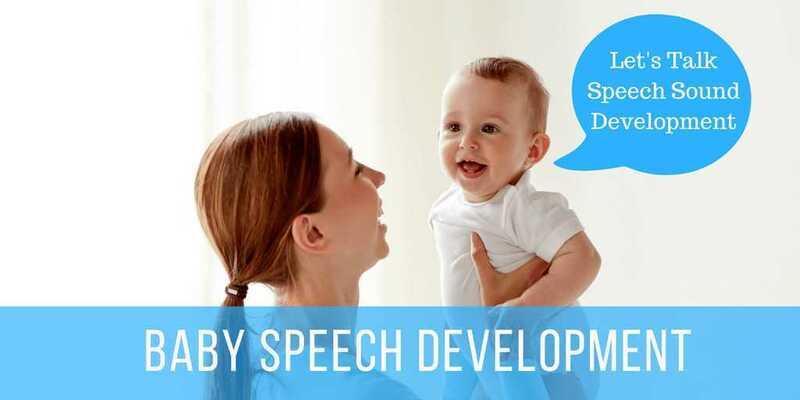 ​Speech Pathologists such as those at SpeechNet are experienced in assessing young baby speech development and can provide one-on-one input for your baby.